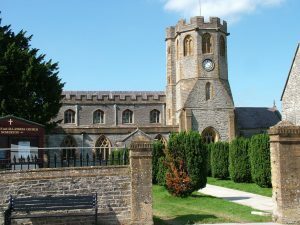 St. Michael and All Angels Church overlooks the centre of Somerton in tremendous fashion. 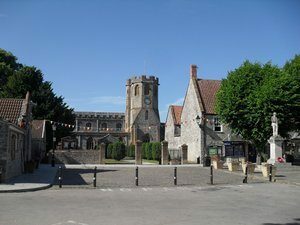 This church dates back to the early 13th century and is the oldest existing building in the town. If you walk through the large gates and down the church path you can go inside and see some of the amazing features this church has to offer. 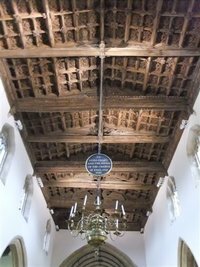 This church is famous for its amazingly decorated wooden roof of 700 carved panels made by the monks of Muchelney Abbey in 1450, making it one of the most delightful in the country. There are other historic parts of the church of course including the three chandeliers that hang over the aisle. Two of these date from the 18th century, while the other is from about the middle of the 19th. 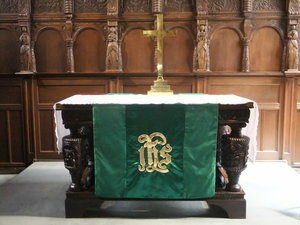 The altar table is another eye-catching part of the inside of this church. Of course there are also sadder features. There are memorials to those that the town held in high regard. For example, George Neat-Tremlett, who was a commander in the Navy. He died in 1865 at the age of 97, and when he passed on was the oldest serving officer in the Navy. Another memorial can be found on the outside wall of the north transept. It is to John Jacob, who died at the age of 12 while serving midshipman on board HMS Hero. He was killed along with the rest of the crew in a storm in the Baltics.